After seven years of dictatorship, a remote village in Argentina formally becomes a town with the birth of its 501st citizen. Hidalgo, a slick and ingratiating scion of the community, is eager to become the new mayor. Baldomero, who is beloved by the townspeople and a more natural leader (albeit with a constantly tapping finger), opposes him with his own candidacy—but soon turns up dead. His shopkeeper brother vows revenge, keeping Baldomero's severed digit in a jar, initially as a remembrance, but eventually as an absurd icon of leadership that spurs the town to defy crooked elections, interloping powers—and Hidalgo. Based on real events, this charming dramatic comedy pokes fun at small-town ways while celebrating true democratic values. 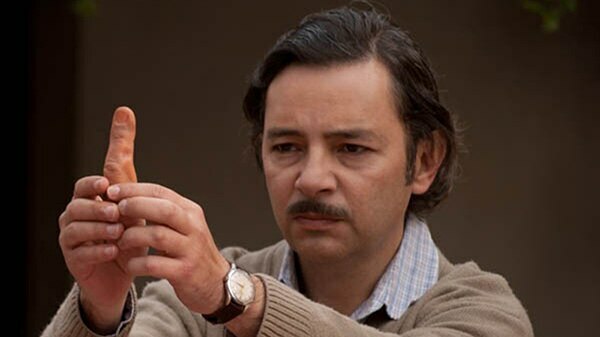 Directed by Buenos Aires filmmaker Sergio Teubal, THE FINGER (EL DEDO) is presented in Spanish with English subtitles. This film is an official selection of the prestigious, award-winning Global Lens Collection, presented by the Global Film Initiative.